Site Suggestions & Feedback Any updates from the forum, how to use forum posts and maintenance updates. Creating a signature helps others know about you and your vehicle. We ask that all members insert a signature, please read here for specifics. You will see in the footer of this post my personal signature. It is always important when posting to use very specific Titles and messages and if applicable, tags in the message. and a message of 'I broke down' will never yield the results you are looking for. Message: Tried starting my car this morning but it wouldnt crank, any ideas? Will yield you some great answers. There are 2 ways to reply to a thread as outlined in the attached image below. Regardless of which method you use, the important thing is to enter as much key information relating to the topic being discussed. 1 word replies generally serve no purpose. There are a few things to consider when attaching an image. The actual file of your file and if it is an image file, the dimensions. Below is the attachment box that pops open. You can see the image sizing. The site being demonstrated allows files 1mb in size with a max width and height of 1000x1000 pixels. Below is how the page will look when you click Manage Attachments. You still need to submit your thread or reply for it to become active. Your image if successfully upload will appear as seen in the image below. There are 2 ways of doing this. 1, if via your attached images. First you must master uploading images as discussed above. Once you have done that you can use the sites max width which in this case is 1000x1000. The site will always create the smaller 'thumbnails' which are clickable to a larger image. You can then use the [IMG] open and [/IMG] close codes on the site. Between those IMG tags you would place the url above. * the img tags above are purposely spaced so you can see how the url should look with img codes. **in some cases, people who are NOT logged in may not see the image if you are linking it on another site. It really depends on the Forums permissions. We outline account deletion in our Forum Rule set here. There is currently no specific end user way to terminate an account. There is currently no specific end user way to DELETE an account but you can disable it as to not get emails, subscription updates etc. To disable your account goto: USERCO -> EDIT OPTION (scroll down) -> Enter a reason and CONFIRM DELETION (an email will be dispatched to your email on file). Confirm DELETION via email. Process complete. Have you tried to login and just can't seem to remember your password? This is the process of how to retrieve your password using the automated system. Step 2:Now enter your email associated with the account on this website. If you enter an email that is not in use it will fail so it must be the email attached to the account. Enter or answer the question. If the box says to type 123, you enter 123, not 123abc. If you do not follow the instructions, it will fail. 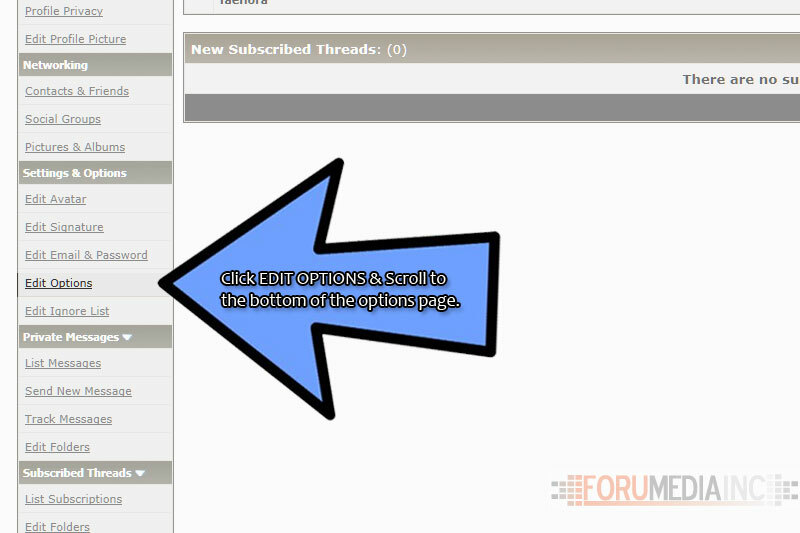 Step 3: Check your email for the automated email from the site. It may take a few minutes for it to arrive. If you do not see the email check your spam box. Generally the email will come from [email protected]thesitename. It is very important to check the spam box and or your email filters. If you find it in the spam box you need to add that email addy to your friends list (may be called white list). The site does send out emails from time to time. If you want to participate these emails will assist you in that. Step 4: Open the email. There is a link that you can click or cut and paste. There is also the login name that is attached to the email address you entered in Step 2. Click the link & the site will randomly create and email you a new password. Step 5: The system has now confirmed the mail out of your new password. You can either click the form link or goto log in. The email will provide you with your login and new temp password. Change the password once you are in your USERCP of the site. You should now be able to start surfing the site, utilizing the pms and have full access. If you are still having issues after following the above procedure it may be due to a few reasons. 1) are you entering a valid email that is attach to an account and used on this site? If the system does not recognize your email create a new account. If you are certain you already have an account and need it back you will need to prove that it was your account. 2) have you checked your spam box and added the [email protected] details in your friends list or white list? Every email service is a bit different but for gmail if you find the email in spam, you open it and click the button that says NOT SPAM. This gets a bit tricky here. If you no longer have access to the email associated with your account and you forgot your password you will need to prove that the account belonged to you. This can be done in a few different ways. A contact number where the site owner can reach you if need be to confirm. *other directions may follow in a response email to confirm account ownership. We go to great lengths to ensure the privacy and safety of all members. It is because of our concern that we must utilize a procedure that protects everyone, including you. Props is a system we came up with where you as a user can give feedback on those posts you find helpful and the ones you feel bring a thread down. You have 3 options when considering props. a) Give a + . That will bump a user up with props plus one. b) Give a -. This will drop a user one props. c) Don't do anything. Props are to be used for those posts that stand out amongst all the other chatter posts. A good how to post deserves a + or a good response to a question deserves a +. Posts getting a - would be the posts that add no value to our community and or bring the thread / site down (racism, spam etc). Read over the post, like what you see you can give a + props. They are located under the quote button (see image below). Its very simple, once you click the negative or the positive, the users count will go up. You can only go up or down one from their initial Props count. We opted to give this post a + (positive). A users total props are always shown in their post area. A refresh of page is always required to update this area. Initial Props is updated immediately where as this area requires an f5. All users Props given and received are show in their profile, as is yours. Goto any profile on the site and click the props tab. All profiles will show the top posts that have received props. It also shows how many props you have given and how many total you have received. The concept is to reward those who make our site awesome and to let those others know that their not so great post could be improved upon. There is no science to this, everyone will have a different idea of what is valuable to a community and what isn't. Staff CANNOT edit Props (not even I the admin). Prefixes are criteria the administrators and staff can enable in the back end of the forum. Prefixes can be anything you like. 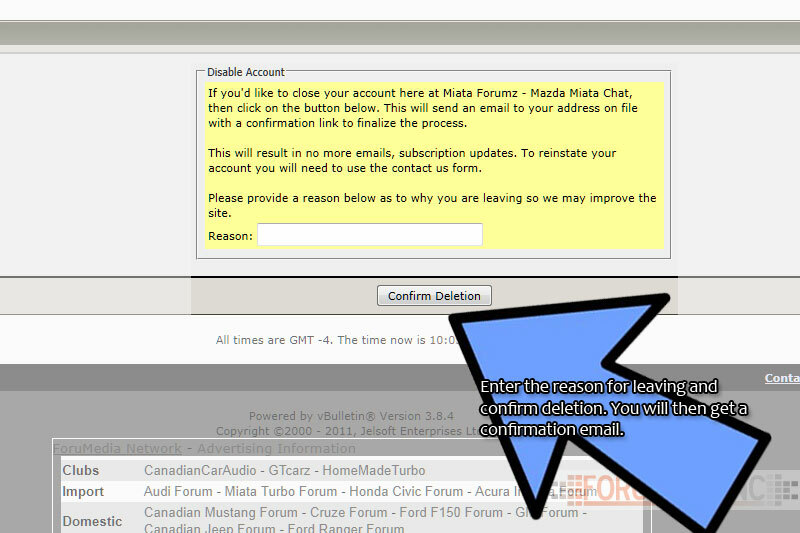 Generally we see prefixes used in the classifieds for such terms as 'FS' (forsale), 'WTB' (want to buy) 'LF' (looking for) and or in the case of the example MiataForumz.com, they are using prefix criteria for their how tos. Below is an image of their live site. The arrow points to the prefix in use. Prefixes can be searched and sorted. This becomes very useful on very active sites with prefixes. 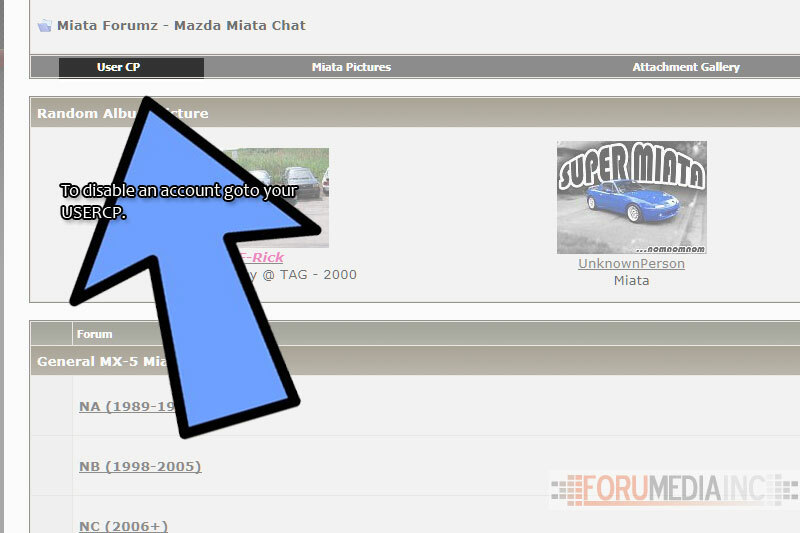 MiataForumz.com can be sorted to show only the prefix you are interested in. For instance I have sorted by the prefix interior, here are the results. Searching prefixes requires you to enter into the Advanced Search area. Essentially, not much changes as you only add a Prefix to search in, the keywords and submit. There are also other options as well but you can do a basic Prefix search. Prefix searching is extremely useful if the site has many prefixes. First off, we have made some changes to the Props system with the help of our members. First let me start by pointing out the new added restrictions. Registered users can now only Props 25 times per day. Site Supporters have 100 Props on tap to give out. Remember, Props the posts you enjoy and like. Top 5 posts with the most negative props. To get the the Props global stats page head to the Quick Link drop down, see attached image. There are a number of people who dislike the subjective nature of the Props system and have no interest in participating in it or even viewing it. We have gone the distance and have added a feature for any user to simply shut it off. While the system will still be 100% active for everyone else you can opt to not see any of it. You can always re-enable later if you have a change of heart. Next, scroll down till you see the Props options. An eBay style feedback system may be installed on the site. This is the general idea on how to use it IF it is up and running. If it is, the images provided below will give you an idea on how to leave feedback after a transaction. ** feedback is not the same as props. feedback is for transactions from the classifieds and props is towards posts. If the system is installed a first look at the quick links may bring up the global feedback system. The global system shows all transactions over the course of the last 12 months. Though the history only goes back 12 months feedback left to your account remains forever. This is a good example of a busy site utilizing the feedback system to the fullest. You will see both good sellers and poor sellers. Remember, feedback alone does not mean you let your guard down when doing a transaction. If low posting members are leaving each other feedback, it may be an example of someone trying to 'cheat' the system. Look for members who have high post counts, high feedback who have participated in the feedback system so that you have greater the chances of a successful deal. Feedback can also be seen in the post area (referred to as postbit). It generally shows how many transactions have taken place & the % of successful deals. In this example there has been 3 deals for 100% success / positive feedback. Below is the page that opens when you want to submit feedback for a user. The key is being thorough about all transactions. Remember, if everyone is thorough then when you go to utilize the feedback system and check up on a user you too will have more information on the person to make an informed decision. Fill out the form, submit. Once you click Submit, Feedback has been left for the user and a PM has been dispatched to them letting them know. - if you leave multiple fast feedbacks the system reports your IP and the user you are leaving the feedback for to staff. Staff are able to review all feedback, edit, delete etc. The system CAN be abused, cheated, etc. Its not a sure proof way to protect yourself but used in conjunction with your own diligence then it may make a difference. It will always be buyer beware on all sites. Do your homework. If two users engage in negative feedbacking we will not police it. You are adults. If someone is unfairly feedbacking you then contact the staff to look into it before you go and do the same back to them. If you do the same back, dont bother us with it. While we read every PM you send we may or may not edit a feedback, its our discretion. The general rule we go by is we do not manage the feedback. We will always remove negative feedback that is of opinion and not fact. **this feedback could possibly be deleted by staff. **this feedback is well within reason and would not be subject to deleting. Home made turbo? nah, too easy, try home made dentures!! !